I’ve read everything I could find on serial killers and the like because they are are so out there. 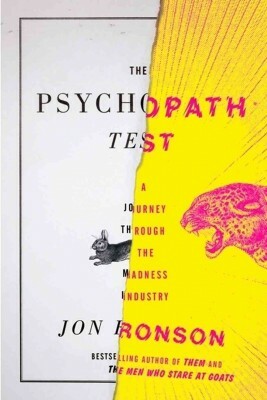 The Pyschopath Test: A Journey through the Madness Industry by Jon Ronson seemed like it may delve a little deeper into what actually makes them so different… and it did. This is a fascinating look at those few (1-5% of the population) people who are wired so dramatically different than us. They appear to be almost a different species entirely in their lack of apparent empathy or regard for the rest of us. Through MRI testing, it has been determined that indeed, psychopaths are wired differently. 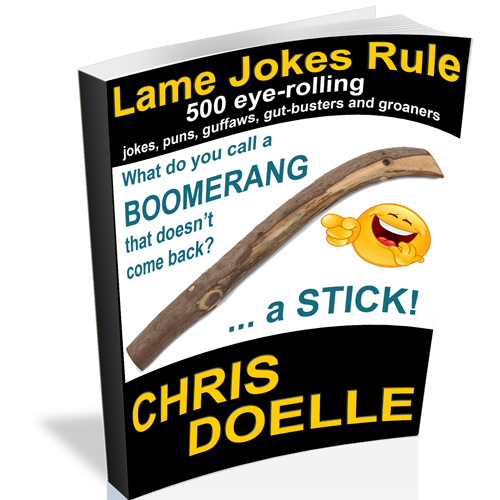 Their amygdala does not fire when they see something shocking or frightening as it does in the normal brain. That is why they do not regret or show remorse when doing things that cause pain or distress to others. This includes more subtle psychotic actions than murder or injury and leads one to the conclusion that much of the corporate greed and political scandal in society is simply the action of psychopaths. 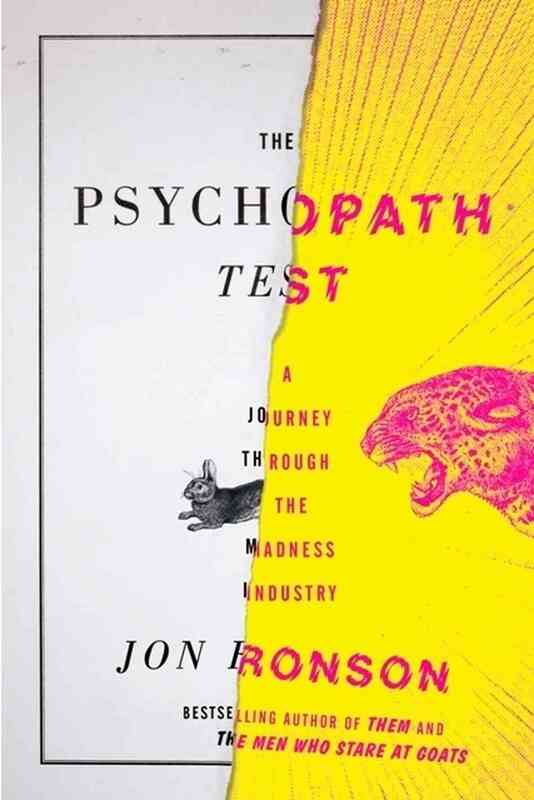 The book title refers to a simple test (Hare Psychopathy Checklist) perfected over a lifetime by Bob Hare. Of course, I had to seek out the test online to see where I fit on the psychopath scale. This test grades the taker on a scale from 0-40 with a score around 30 or more required to be considered psychopathic. http://vistriai.com/psychopathtest/ I scored an 8 although I expect that had I taken the test as a teenager, I would easily have scored 15 or better. More than just a simple test however, this book examines the immense changes to the diagnosis and treatment of mental illness throughout the years. The takeaway from this book is that there is a little bit of psychopath in all of us, but in the upper ranges, it can get dangerous. It can also lead to great success in the business world. Indeed, several of the people that Ronson tested were business and political leaders. He surmises that the difference between a world famous eccentric and a psychopathic killer could be as simple as the environment in which they were raised. Whether they are killing people, manipulating the ones that love them or crushing companies and destroying the life savings of those who get in their way – psychopaths are dangerous. PreviousInstagram… should you use it? NextHeartbleed is real… what you must do now! Sweet Wimberley is nearly ready for business!